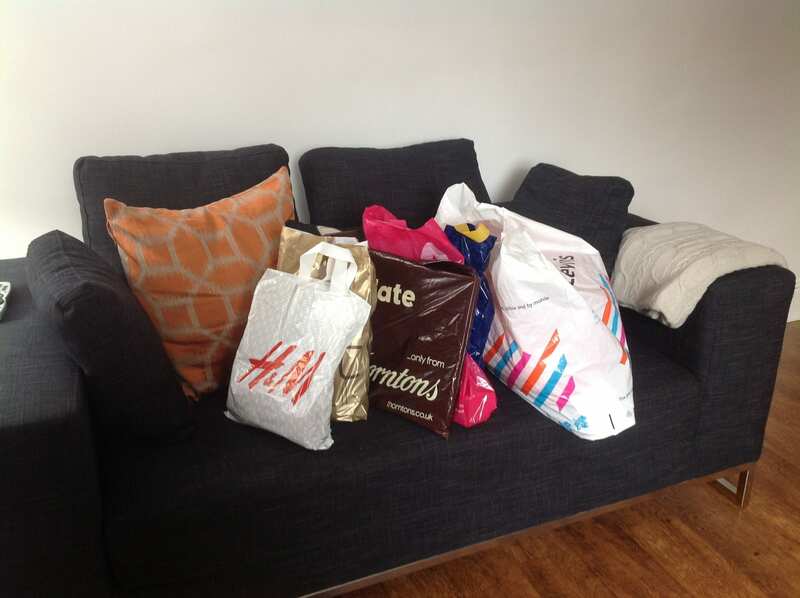 It’s widely known amongst my friends that I like a bit of shopping. So when I had a rare day off last week it was a great opportunity to indulge in my favourite passion and another chance to put the British Gas Remote Control Heating System to the test. Shopping is like Marmite I think, you either love it or hate it and I’m very much in love with it. It often doesn’t matter what I’m going out to buy, although I do draw the line at the food shopping, but generally I’m a happy girl when I’m out at the shops. And that’s why last Friday was such a great day for me. In my other job, the one where I teach babies and families to use Baby Sign Language, we had to take a break from our regular classes and so I found myself with a free day. I wouldn’t normally write or blog, and in fact the writing was pretty much up to date, and as I didn’t have to go out teaching I decided to do some ….. Christmas Shopping! Online or High Street Shops? What do you prefer? Are you an online type or shopper or do you prefer to browse the actual high street and touch and feel before you buy? I have to say that online shopping does it for me more and more now, mainly to save the pennies but also to save time. In this instance though I did need to hit the high street, to check out a few gifts in the flesh, and to give myself a little R&R. It was a day of unusuals for me, as I even took the bus, which isn’t something I’d normally do. But it was painless and relaxing and proved a great idea in the end. I literally did shop til I dropped, where my arms were aching, my back was sore and my feet were throbbing. Of course, I had to do the usual stop off in the grown up John Lewis Espresso bar (children generally don’t accompany parents into here) and treat myself to a little lunch and latte. Why would you not do this?! It was lovely, such a change from a normal Friday I felt like the weekend had started a day early. Before I knew it though the school pickup was calling and it was time to head home. The bus ride home (a great £3.40 instead of around £8 parking fee) gave me the chance to sort out the heating. It had been a very cold day, the house had been empty since 9.30am and I knew it would be feeling rather chilly. I’ve been using the British Gas Remote Control Heating gadget a lot since we had it installed, mostly from the app on my phone, although we can also text the system which is cool, and I’m really getting to grips with it now. The house, according to the app, was a rather cool 15 degrees, so I swiped the system ‘ON’ and watched as it fired up the boiler. From the bus! How cool is that. Now if only I could use it put the kettle on and make the dinner, my life would be complete! Dislcosure: British Gas has given us the Remote Control Heating system free of charge for the purposes of this review. They are also sending us out on experiences to put the system to the test. This post is in place of a treat that I’ve not yet been able to take.